For today's project I created a page layout about Rylee's attempt to catch a butterfly. I knew the Hello collection would be perfect for this page ... the pink, the tiny flower print paper, and the gold!! Although white and gold are always hard to photograph, hopefully you can get an idea of how pretty the shine on the page really is. At the bottom of the Hello This & That sheet are several rows of border stickers. That tiny gold dot border was calling my name and I was really glad I had several sheets when I decided to add it all the way around my page :)! The light pink edge down each side of the flower print is also a border sticker from the same sheet. 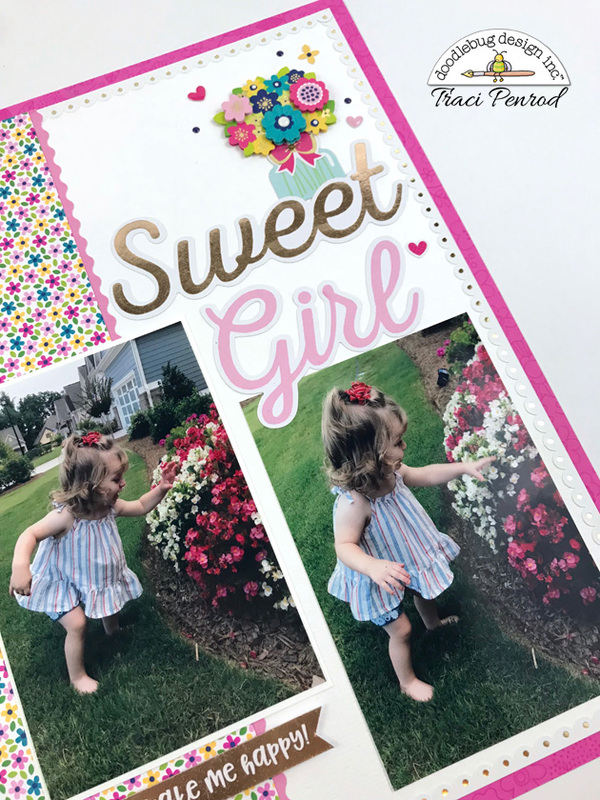 The adorable flowers in the upper right corner are a DoodlePop (I added the tiny pink bow from the Mini Icon Sheets), and the title is from the Chit Chat die cuts. For the flowers in the lower left corner, I used a combination of acetate from the Odds & Ends, and enamel shapes from the Beautiful Blossoms assortment. 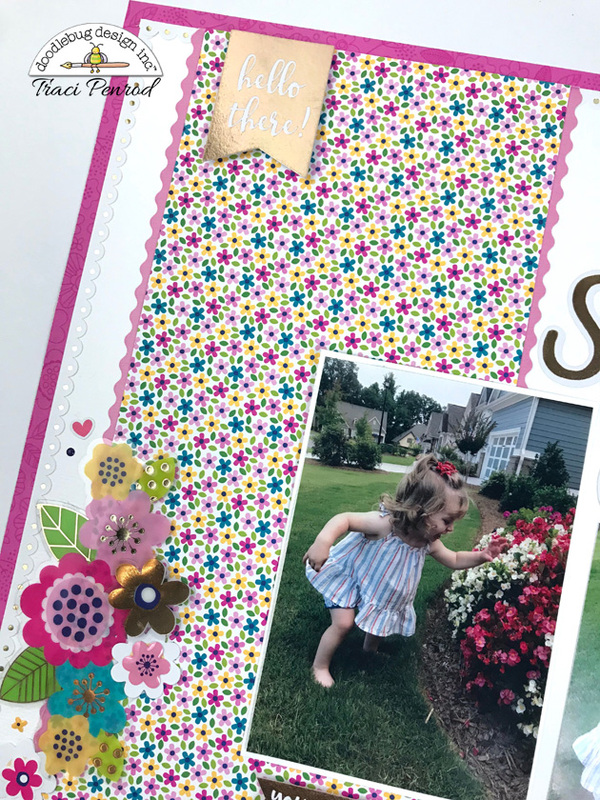 I hope I've inspired you to use mutiple border stickers on your next page ... and maybe a pop of gold! Have fun! Adorable!!! Both the layout and Rylee!! !